Welcome to Melambes Studio Apartment. 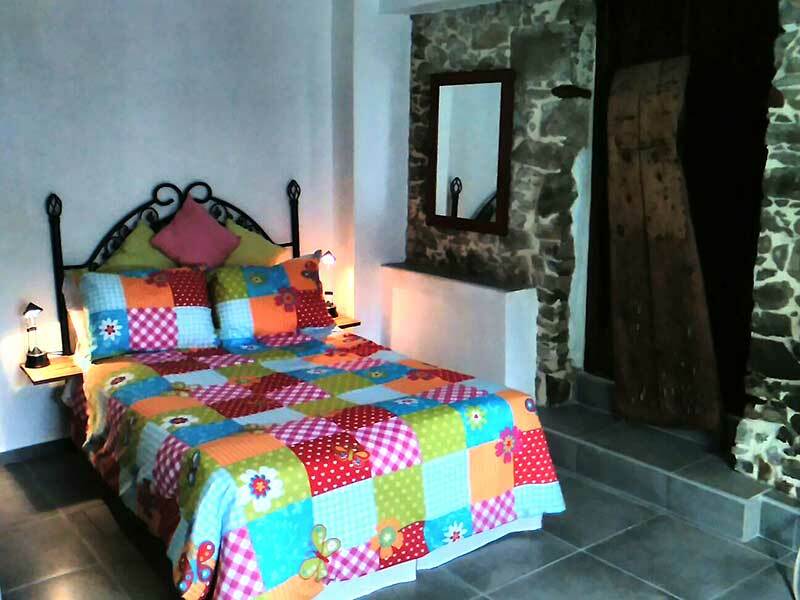 Our Studio Apartment is just off the Main Square, at the heart of village life. 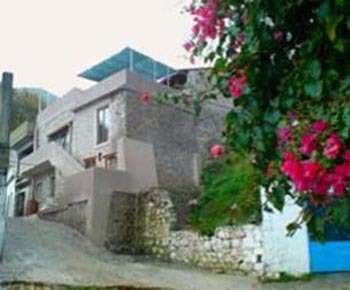 Experience for yourself, life in a typical Cretan mountain village. Melambes itself nestles on a beautiful mountainside, ideally situated for you to make the most of the outstanding flora, fauna, views, walks and the exquisite local beaches. Just a short drive from the nearby award winning, Blue flag, beaches and resorts, it's also an ideal base for walkers, hikers, and cyclists. The local mountainside is home to beautiful herbs and wild flowers. Painters and photographers especially appreciate the local scenery. 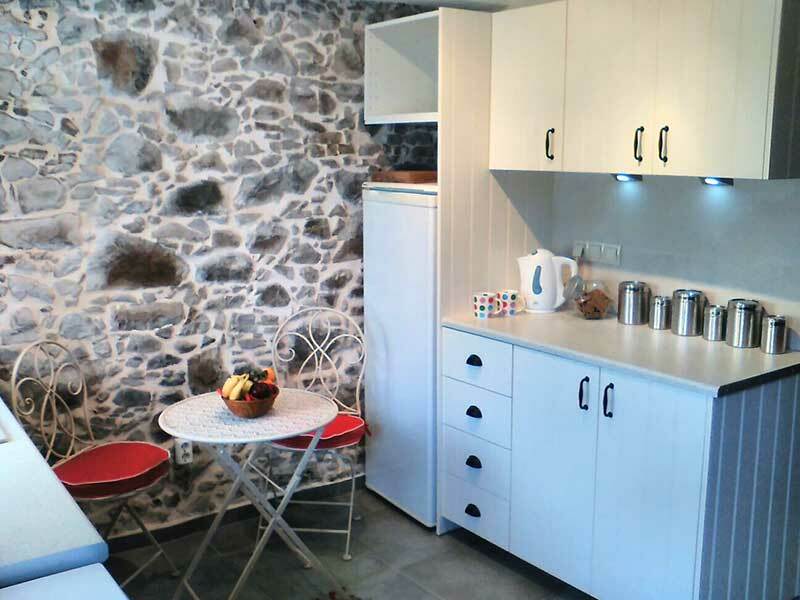 Tastefully renovated basement studio/apartment using a mix of modern and traditional methods. On the street level of our family home, situated on the edge of the village square. 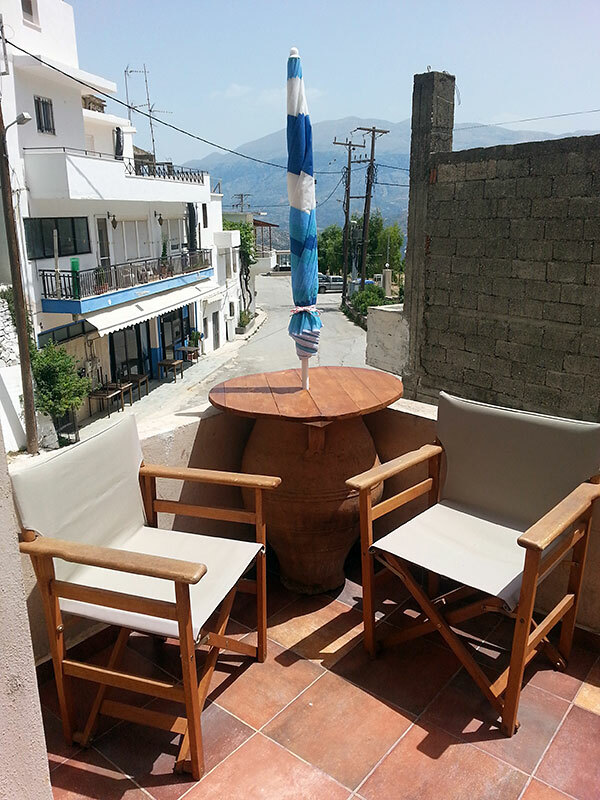 Guests have the full run of the apartment as well as a level seating area outside the front door,( Greek Style) and a small raised terrace which overlooks the village square. We are as flexible as possible on check in/out times, dependant on our other bookings, please contact us to discuss if necessary. 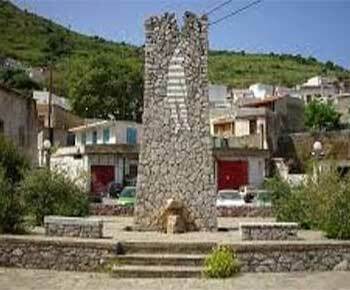 Melambes is a traditional Cretan (Greek) Village. There are two well stocked supermarkets, around 6 Cafe-neons ( some more traditional in appearance than others, All of these will serve a Mezze with your drinks but one in particular carries a wider "menu" for a more substantial meal ) , There is also a more modern Bar and one "Village" Taverna. We have a village bakery, so fresh bread is available daily. The village can be a little busier in August when lots of the locals return home for their holidays. We recommend hiring a car to make the most of your stay, but we can help with that, we have arranged special rates with a local firm, with airport collection/return if required. Secure parking/storage for motorcycles and bicycles is available (but to be honest not needed). Although there is vehicular access right to the front door, The street is very narrow, the easiest access and Parking is from the main square just 10 metres away. 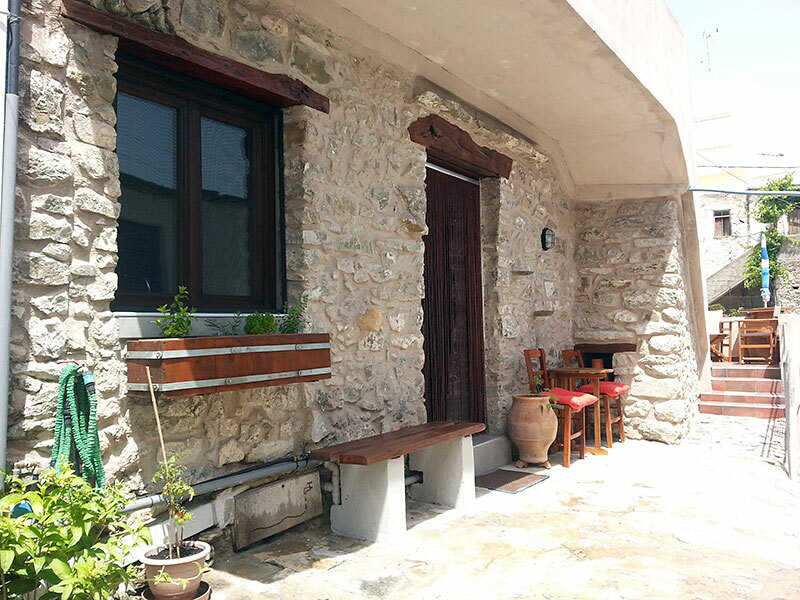 A level seating area outside the front door, (Greek Style) and a small raised terrace overlooking the village square. Comfortable double bed, as standard, with the option of an additional childs cot or Z bed, if required. 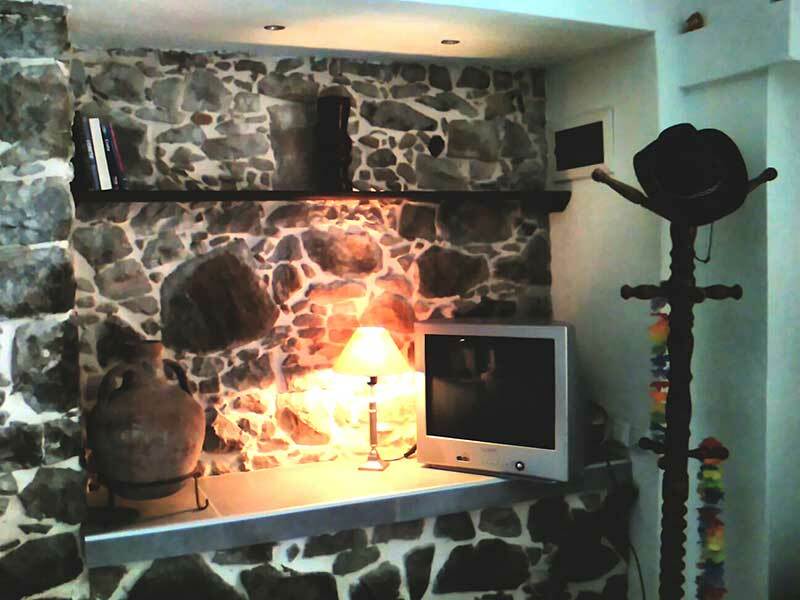 Renovated and decorated delivering an eclectic mix of modern comfort with traditional styling. Fully equipped modern kitchen. Whether you simply want a cold beer, glass of local wine, with a mezze, or to cook a full meal. Tastefully decorated, Fully tiled with one stone feature wall, complete with a spacious shower area. Situated on the ground floor, of our traditionally styled and tastefully renovated family home. 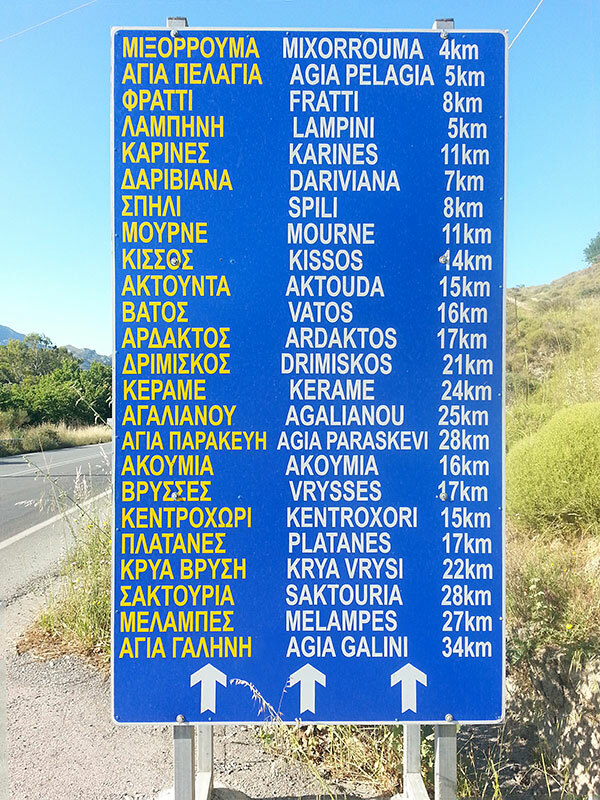 Melambes is a typical traditional Cretan village, where the locals still work on the land daily. A short drive from more than six, beautiful, quiet, unspoiled stunning beaches.Ideal for snorkelling or just lazy days at the beach. 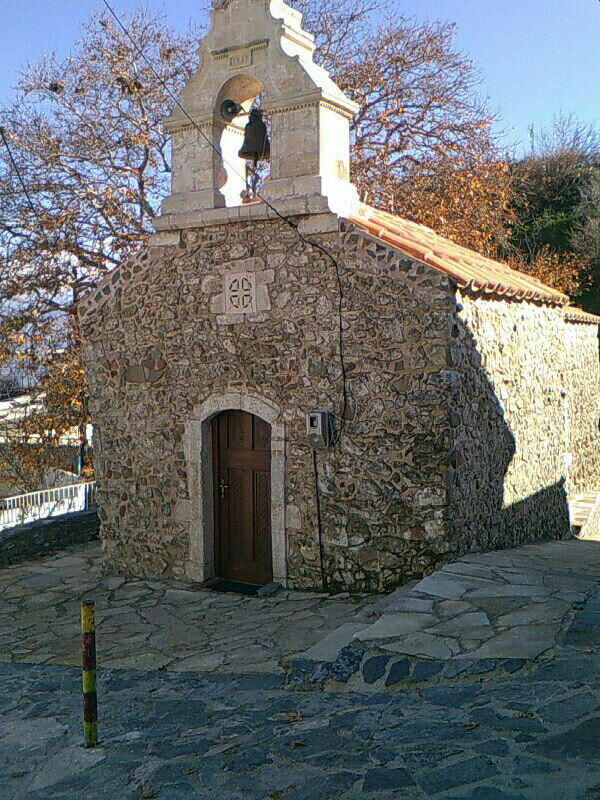 Our vistors love strolling around our traditional village, There is lots to see, including which are an abundance of small traditional local churches. Complete with seating and sun umbrella, overlooking the village square, perfect for lunch, a snack or relaxing with drinks in the evening. Explore the whole south of this beautiful island, a short drive from many resorts and places of interest including some stunning ancient sites. 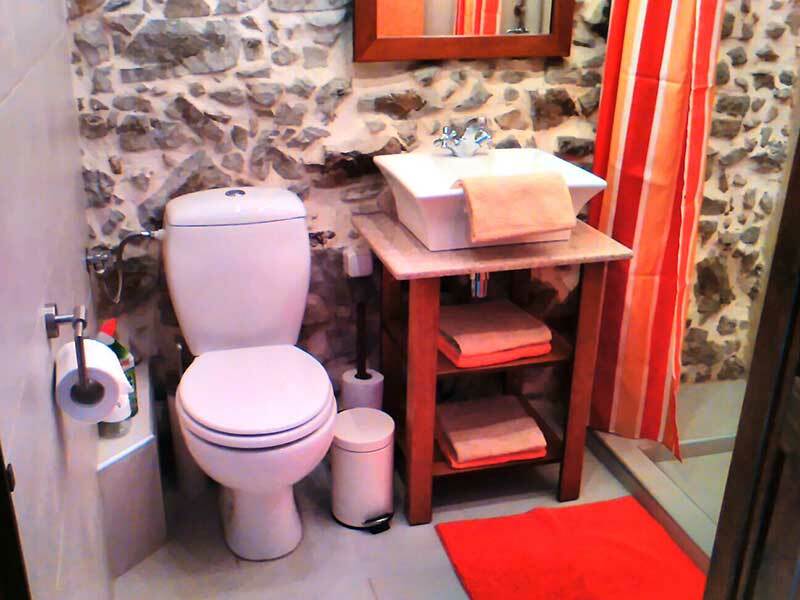 Tastefully decorated Fully tiled, with a spacious shower area. 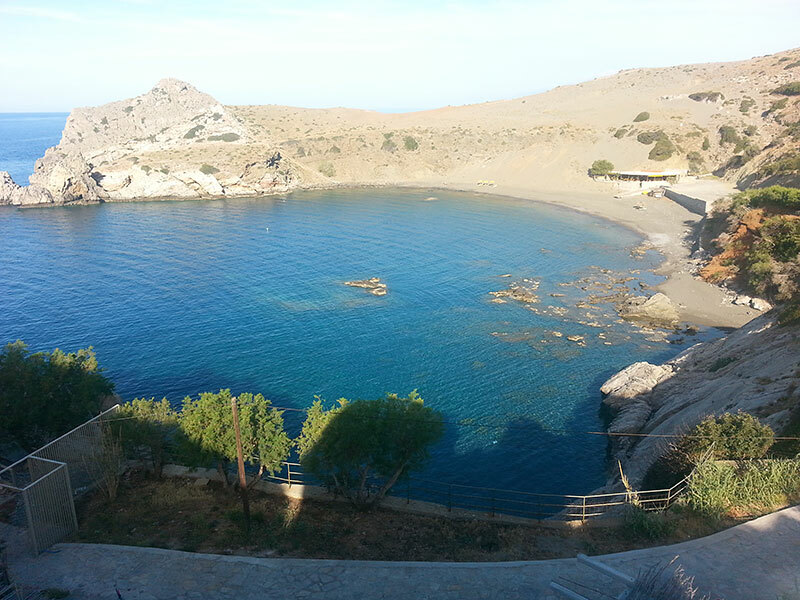 A short drive from more than six, beautiful, quiet, unspoiled stunning beaches. Our visitors love strolling around our traditionlal village, chatting with the locals,and visiting the abundance of small traditional local churches. Overlooking the village square, perfect for lunch, a snack or relaxing with drinks in the evening. Melambes, is ideal to use as a base, to explore the whole south of this beautiful island, a short drive from many resorts and places of interest. 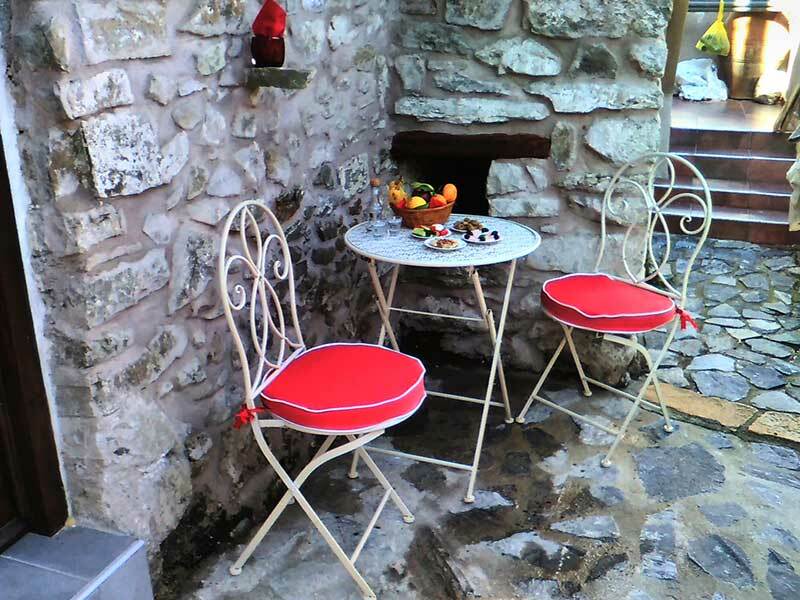 We were lucky to stay in their delightful "Des Res"